Follow the ancient caravan route through the Atlas Mountains to the spectacular Dades Gorge, along the Road of a Thousand Kasbahs. The spectacular, ever-changing scenery is dotted with crumbling Kasbahs as you drive through desert oases and valleys of palm groves. Meet your camels to trek into the Sahara Desert at Erg Chegaga before the return journey through the Anti-Atlas mountain range. Arriving at your Nomad Camp by camel, trekking through the desert to arrive in style. Exhilarating driving through mountain peaks and lush green valleys. 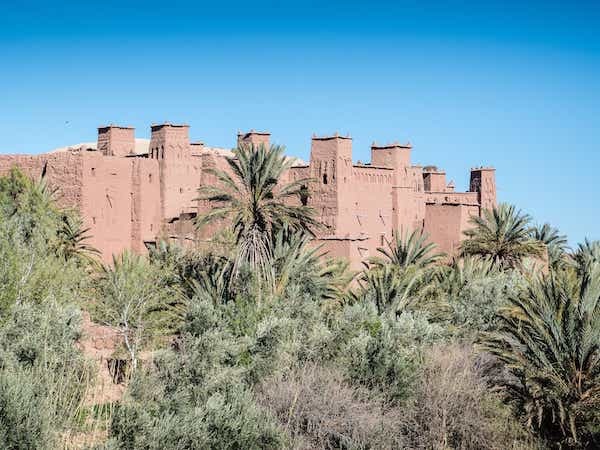 The ancient streets of the UNESCO Heritage Berber Kasbah town of Ait Ben Haddou.